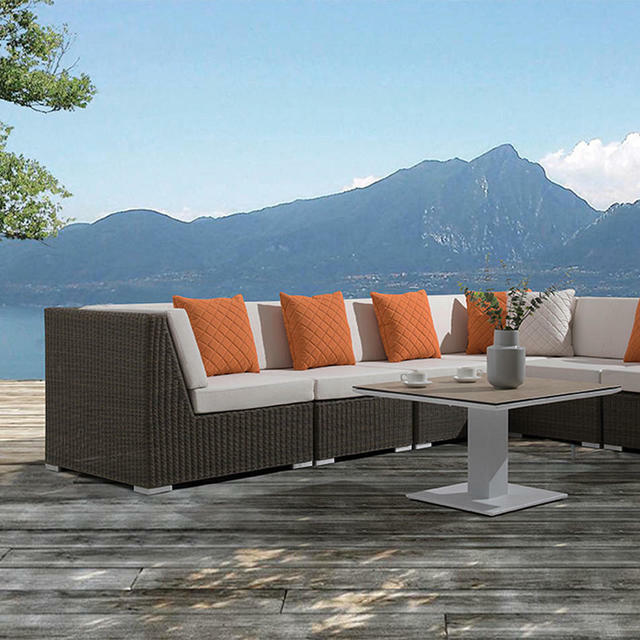 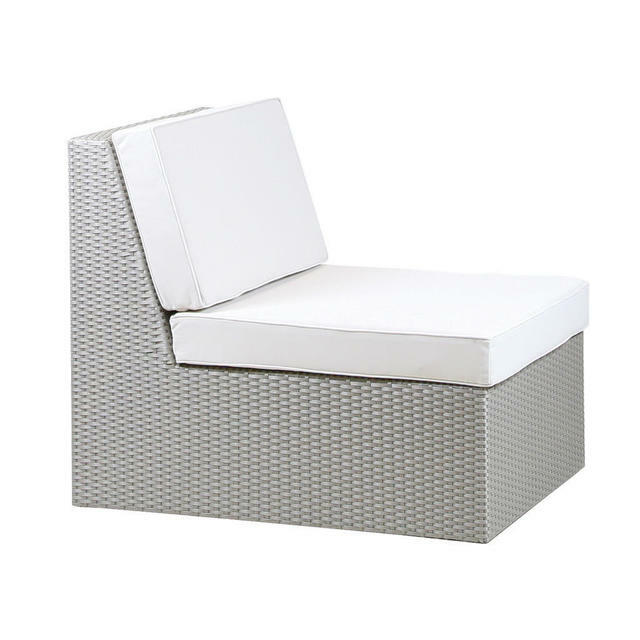 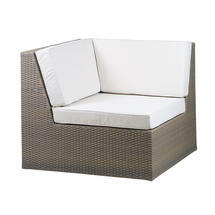 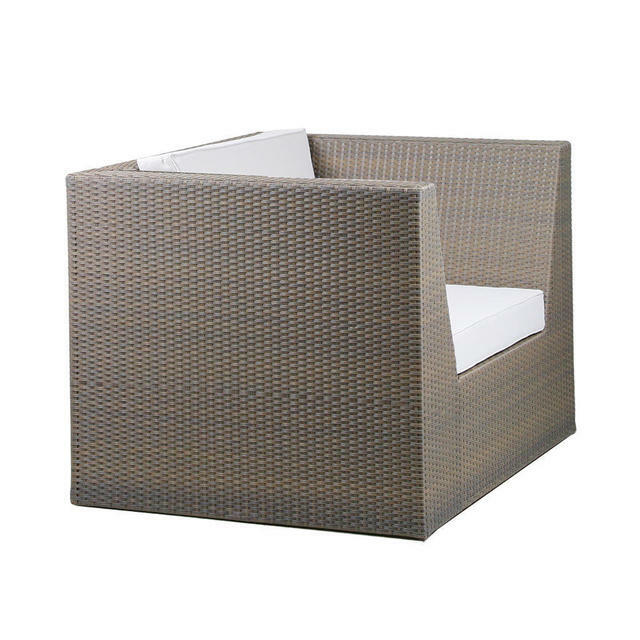 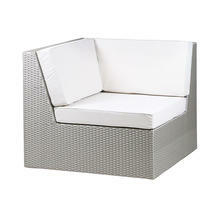 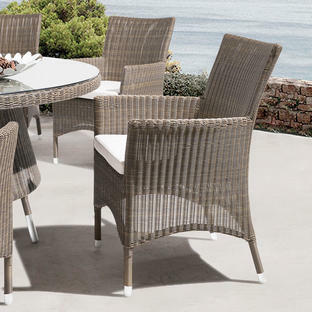 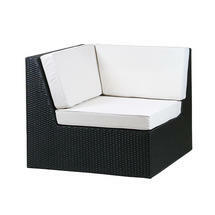 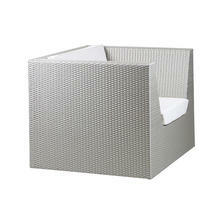 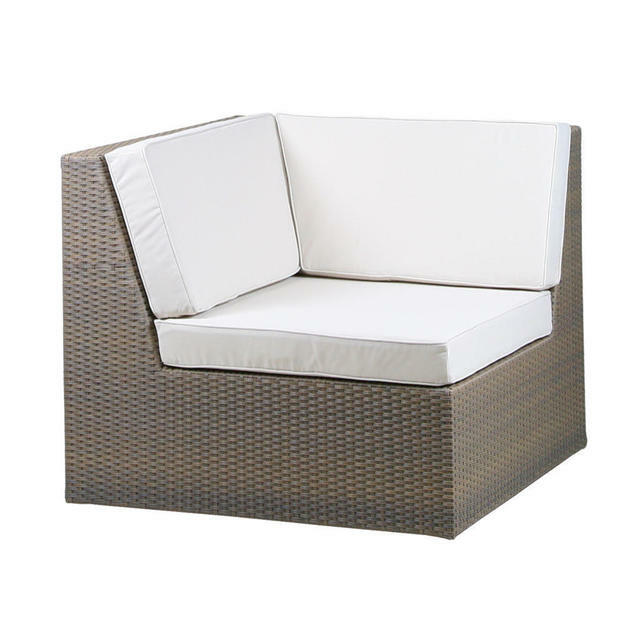 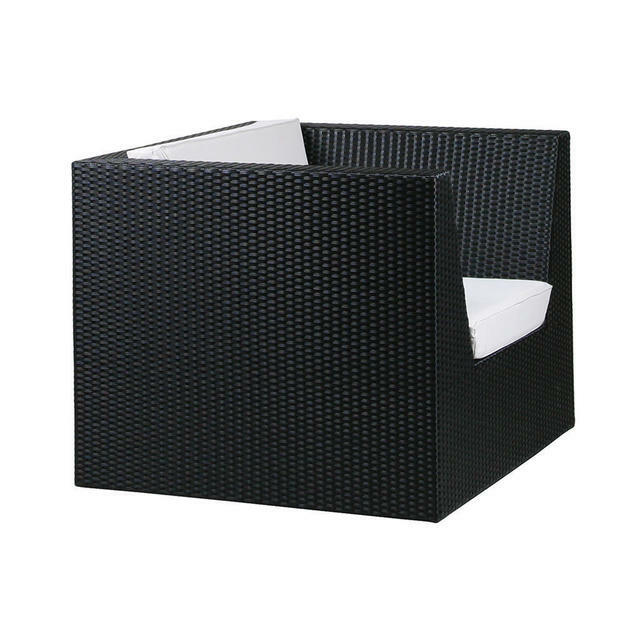 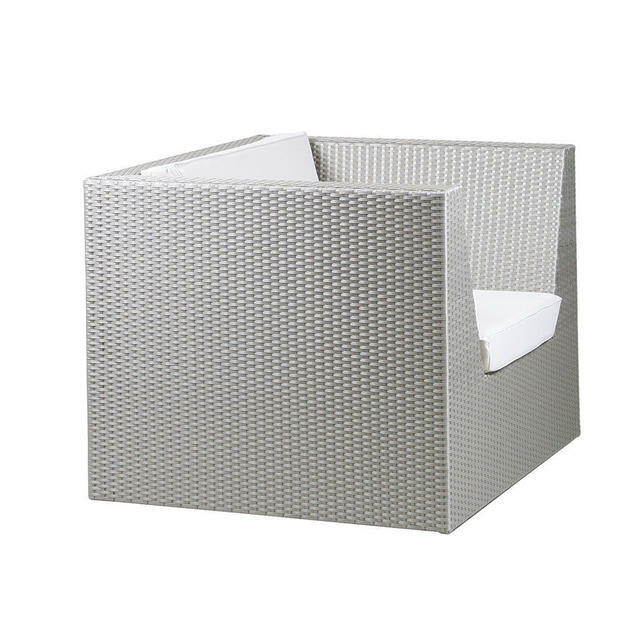 The Valencia outdoor modular lounge offers total flexibility and versatility. With the units you can create a large circular shape outdoor lounge to large or small sofas or just have a couple of easy chairs, the options are limitless. 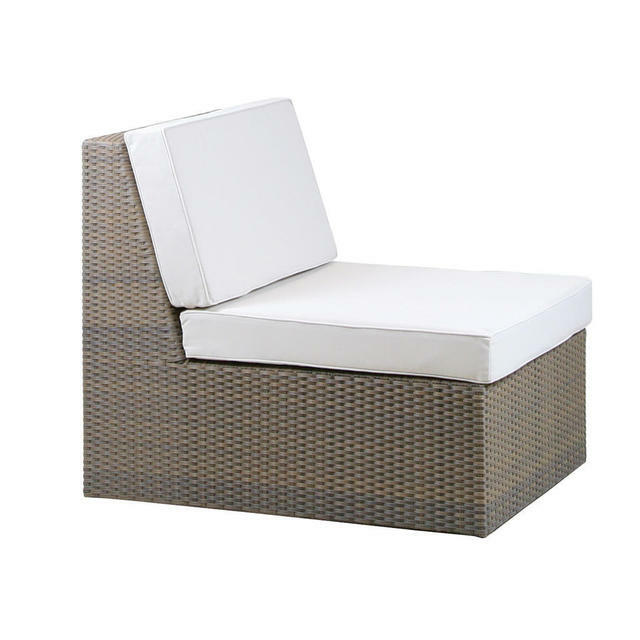 With all weather woven seats, and deep and comfortable cushions in a choice of 3 different weaves and a choice of 3 colours for the seat and back cushions. There is also an ottoman/side table available. 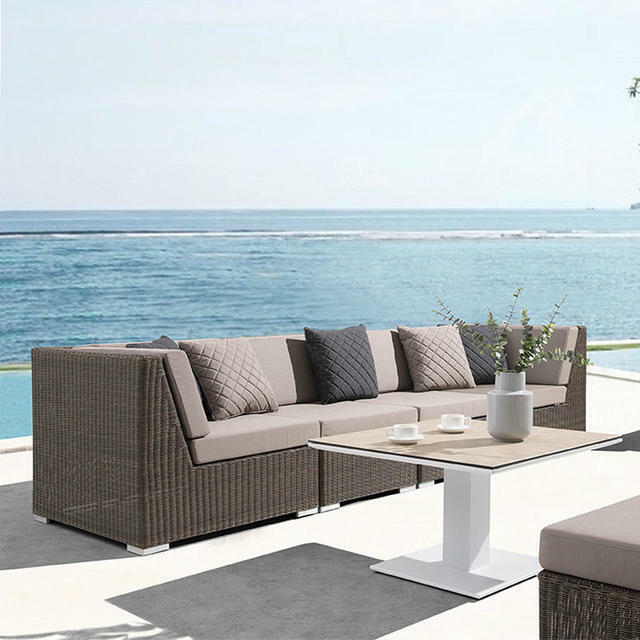 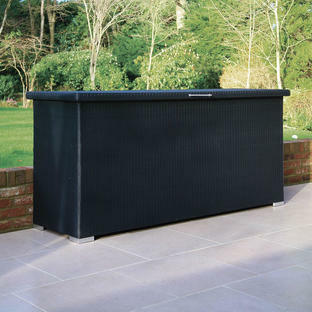 The seat cushions and backs use a high performance foam which allows the water to drain rapidly and the air to circulate, allowing the furniture to dry quickly if caught in a heavy downpour.